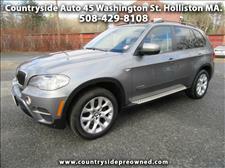 Welcome to Countryside Auto located at 45 Washington St in Holliston ,MA. 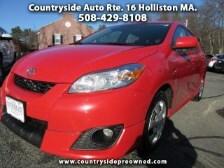 Please call us at 508-429-8108 to arrange a test drive or visit our website http://www.countrysidepreowned.com/ to view our complete inventory. 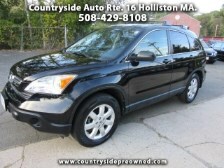 COUNTRYSIDE AUTO, A DIVISION OF BRIGHAM GILL MOTORS, HAS BEEN SERVING THE METROWEST BOSTON AREA FOR MORE THAN 25 YEARS - ALL OF OUR VEHICLES ARE HAND PICKED AND FULLY SERVICED ON DELIVERY. OUR VEHICLES ARE CLEAN AND COME WITH NO "STORIES." 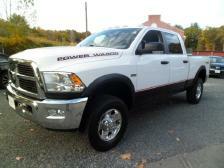 WE OFFER FULL FINANCING AND WARRANTY OPTIONS AS WELL AS CHRYSLER,JEEP and DODGE FACTORY CERTIFICATION PROGRAMS. WE ACCEPT TRADE-INS. MECHANIC ON SIGHT. NO HASSLES, JUST STRAIGHT TALK. As always our Best Price is Always First!!! Bill was easy to work with. I got a great car at a deep discount price. Bill was straight forward, super helpful and very nice. His service was amazing. Thank you!!  It was a pleasure helping you with your new vehicle purchase. Bill was extremely helpful and I felt no pressure at all. He wasnt one of these car sales man out to get a commission. He actually helped me get in the car because I wanted it. I definitely would purchase another vehicle from Bill. Thanks Bill! Lemone Thank you for the kind words. I value your business. Bill was honest, straight-forward, fair and easy to deal with! Good guy. 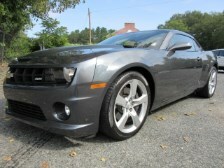 Michael M. Khorshidianzadeh 2 months ago- Bill gave me a great deal on a 2011 Dodge Charger. The car runs perfectly and had very low millage on it. Bill was very straightforward and nice enough to let me take it on a test drive even though I showed up about 5 minutes before closing. I highly recommend going to him for a car. I have checked online to see if any other dealer is selling my car for the same price Bill had it on and I still haven't be able to find it! He made sure my car was in solid working order and I am very happy with my car. Bill made sure I had a full record of the car and there were no surprises with him. I highly recommend Countryside! The 2011 Charger itself is an amazingly fun car to drive and is solidly built. Bill is a great guy, no pressure to buy but helpful and knowledgeable. Would buy again in the future for sure. Christine Oct 8, 2015 Great working with Bill at Countryside Auto. Easy transaction. No pressure. Will refer my friends! 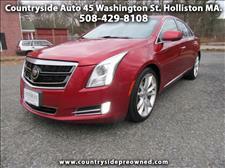 Bill made you feel very comfortable,with no pressure to buy and was super easy to deal with. I'm very happy with my puchase and whole experience.